This week, 19-year-old Nikolas Cruz confessed to shooting students at Marjory Stoneman Douglas High School in Parkland, Florida with a gun he obtained legally. In the aftermath of his rampage with an AR-15 rifle, 17 people are dead and 23 injured. Unfortunately, this type of semiautomatic weapon — a gun the NRA has said is among the most popular rifles in the country — is easy to obtain in Florida. In fact, Florida has some of the weakest gun laws in the nation. Though the state has a three-day waiting period on handguns, The New York Times reports that anyone without a “felony record, domestic abuse conviction, or a handful of other exceptions — such as a commitment to a mental institution” can purchase a semiautomatic rifle in minutes by passing a short background check. Plus, the state does not require gun owners to register their weapons, nor does it require a permit to purchase a gun. You can also conceal carry a shotgun or rifle without a permit, though you need a permit to do the same with a handgun. On top of that, you can buy an unlimited number of guns at one time in Florida, including AR-15s like the one used by Cruz on February 14th. These types of weapons use military technology — they’re easy to fire, with little recoil, and can be reloaded with ease (designed for use during enemy combat) — and they are extremely deadly. So deadly, in fact, that from 1994 to 2004, Congress banned the manufacture of assault weapons like the AR-15. Since then, though, it has gotten much easier to buy one. Indeed, only New York, California, Washington, D.C., and five other states have created their own assault-weapons bans. That’s why so many are calling for gun control now. 17 people murdered at a Florida high school today. @realDonaldTrump, @SpeakerRyan, @SenateMajLdr. can we talk about the Las Vegas mass shooting yet? 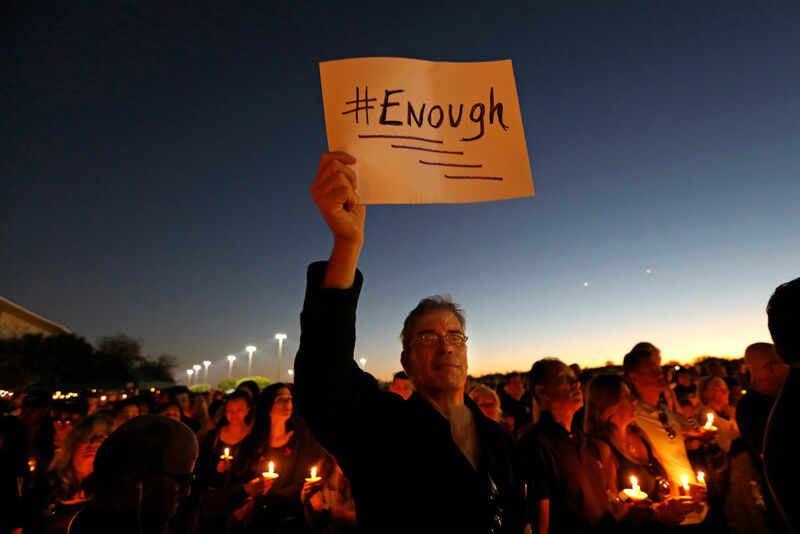 One thing’s for sure, something has to change to make sure incidents like Parkland never happen again.